When it comes to eating breakfast, I'm not particularly creative on weekdays because I'm in the office by 9am so don't have much time to prepare in the morning. This usually means a quick bowl of cereal or a bagel loaded with dairy-free butter (because if it's dairy free, it's healthy right?). Dairy free dreamboats, Alpro, sent me a few of their products to try and change up my day-to-day breakfast routine and make it a little more exciting in the mornings. Their products included a range of dairy free milk alternatives including soya, oat and coconut and some delicious dairy free yoghurts. If you haven't tried the coconut yoghurt yet then I suggest you get to your local supermarket pronto because it is heavenly! As I had my mind firmly on the idea of quick, convenient breakfasts for those that need to rush out in the mornings, the first breakfast idea I created was a dairy-free yoghurt topped granola with berries. It's super simple and only takes a few minutes, but it's absolutely delicious! I personally prefer granola with an Alpro yoghurt over milk, and the blueberries just give it that sharp kick to break up the taste. In this particular breakfast I used the Alpro Vanilla Yoghurt, because it just goes with fresh blueberries oh so well! 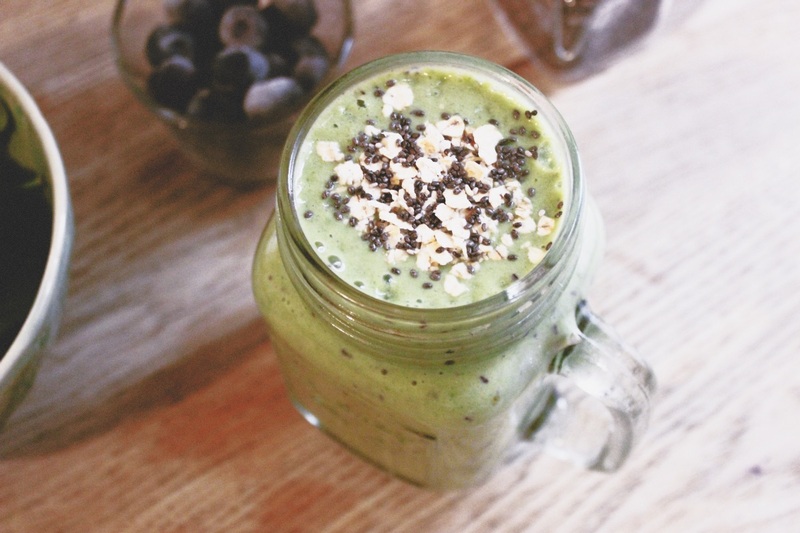 My second breakfast idea was a super green smoothie, which tastes as good as it looks! 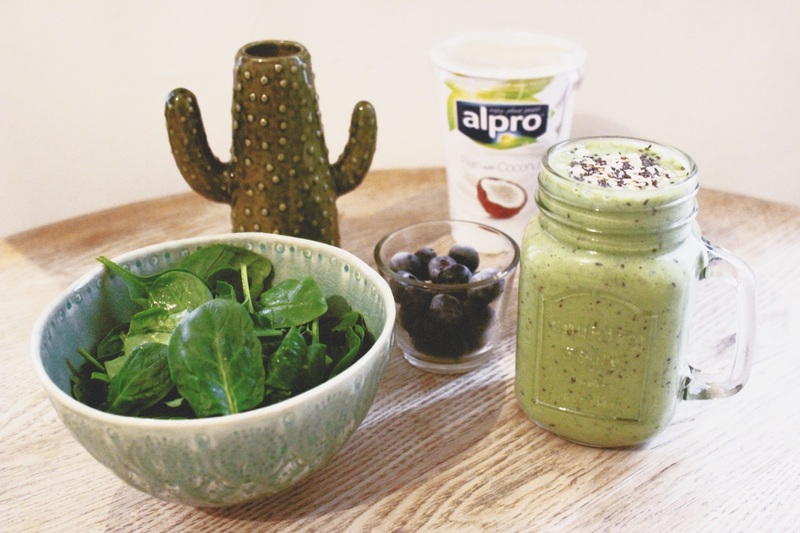 To re-create this particular smoothie you simply grab a handful of spinach, a banana, some blueberries (I always use frozen because they're cheaper), 250 ml of Alpro Original Almond Milk, a few spoons of Alpro Almond yoghurt and mix it altogether in a blender. It only takes a few minutes out of your morning and is easy enough to drink on your morning commute! A smoothie is an ideal breakfast if you don't have too much time in the morning to spend on making breakfast, but want to still have something reasonably healthy on-the-go. I find myself experimenting with different smoothies concoctions all of the time too, but blueberries, banana and spinach are always my 'go to' ingredients. My third and final breakfast idea with Alpro were vegan pancakes, which didn't necessarily turn out exactly how I had planned the first time around; strangely enough they had the texture of soft cookies, which wasn't necessarily a bad thing! Never the less I'll keep persisting with the recipe until I perfect it. I followed this recipe, which literally only uses 3/4 cup of oat flour, 1/2 cup of almond milk, 1/2 banana blended into a batter. 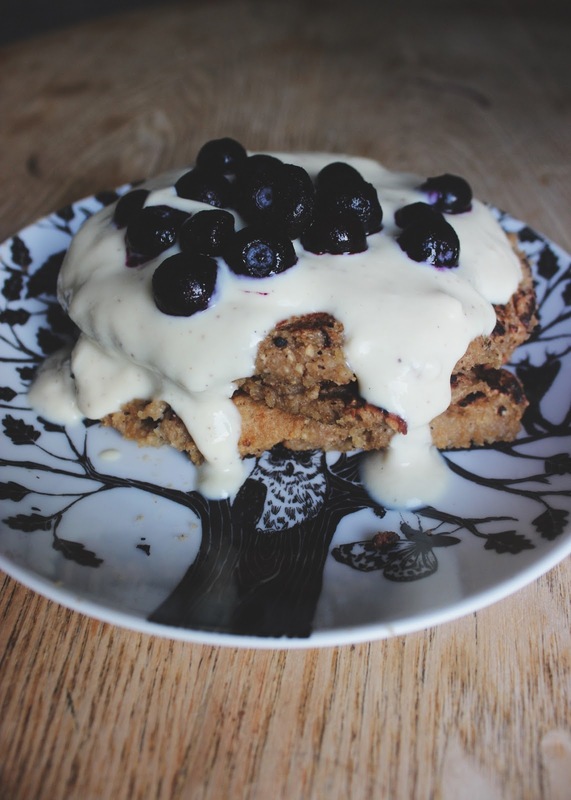 You then fry the pancakes over a medium heat with a little oil and top with Alpro Coconut Yoghurt and blueberries. It's meant to be ridiculously easy and I'm sure it is, but unfortunately I'm just not a natural in the kitchen so it looks like I'll be sticking to my yoghurt-topped granola and smoothies in the meantime! Ooo I love a bit of Alpro yoghurt, it's so versatine as well because if you buy the plain one you can have it in savoury dishes too like curries and things. I have mine with granola, pomegranate seeds and a banana and it keeps me going for the whole day. Definitely one of my favourite breakfasts when it's getting a little warmer and when you want a little break from porrdge. These look really yummy. I wouldn't have thought that a smoothie containing spinach would taste nice but if you say so I might have to give it a try! These look SO good! 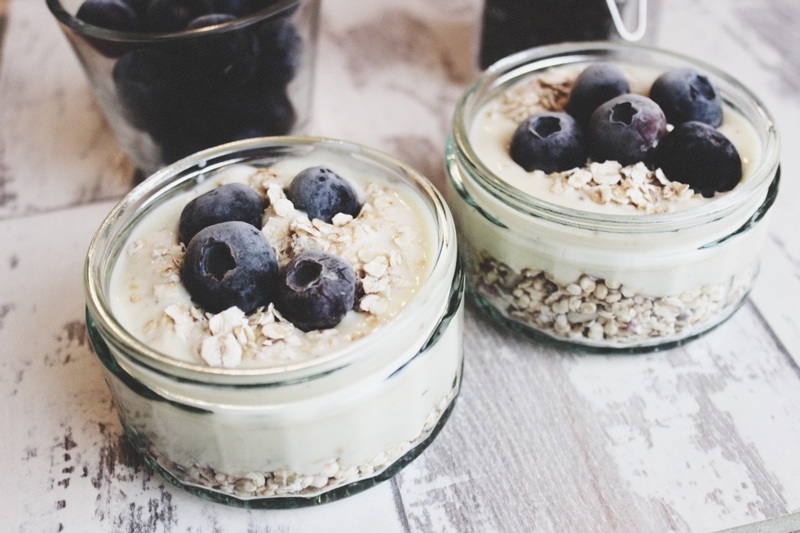 I'm usually a firm (and very boring) porridge eater on a daily basis, but i'd definitely try these, especially the dairy free yoghurt with granola - yum! they look amazing! love the blueberry one!